This is a State of Michigan historic site because it was the location of one of Henry Ford’s Village Industries. Just after World War I, while Henry Ford was building and expanding the world’s largest manufacturing complex at River Rouge, he also decided to experiment with village industries. These were to be small plants located in rural areas, but fairly close to Dearborn, that would employ modest numbers of workers to make component parts for his vehicles. Henry Ford never wrote a long explanation for why he experimented with village industries. Because he made all the key decisions for his firm, he did not have to present a management plan for village industries to a Board of Directors nor gain the approval of numerous federal agencies. Those who have written about the village industries speculate that Henry Ford knew that farmers’ incomes were low and that some of them could work in a nearby plant and still maintain their farms. His motivation may have been to increase the incomes of farmers. Henry Ford also had a consistent interest in what we now call alternative sources of energy. Most or all of his 19 village industries were former mills that utilized water power. Ford stated his own belief that the United States would not become a nation of huge cities. He expected the growth of many moderate-sized cities so this view may have encouraged him to experiment with village industries. By the time he started his village industries—about 1920—the large Studebaker plant on Piquette in Detroit had been unionized. Ford consistently opposed unions and this may have played a role in his decision to create small plants, but I have never seen any documentation of this. This was the fourth village industry established by Henry Ford. The Plymouth Flour Mill had stood on this site at Wilcox Pond since 1850. Ford purchased that facility and razed it. I presume he retained by water power apparatus. He recruited Albert Kahn’s firm to design the modest building that you see. It is a rectangular one with one story visible above the ground level at the north face along Wilcox and three levels visible at the south face. The major entrance was in the west wall of the building. There were and are seven bays of windows on the north and south facing although the north windows have been replaced by metal garage doors. This building was designed for the production of taps, a devise used in the manufacture of screws. I believe this was Henry Ford’s source for about 95 percent of the taps his business used from 1923 when this facility opened until 1948 when it closed. Employment attained a peak of 35 workers in 1936. During World War II, small component parts for airplanes were also produced in this facility. 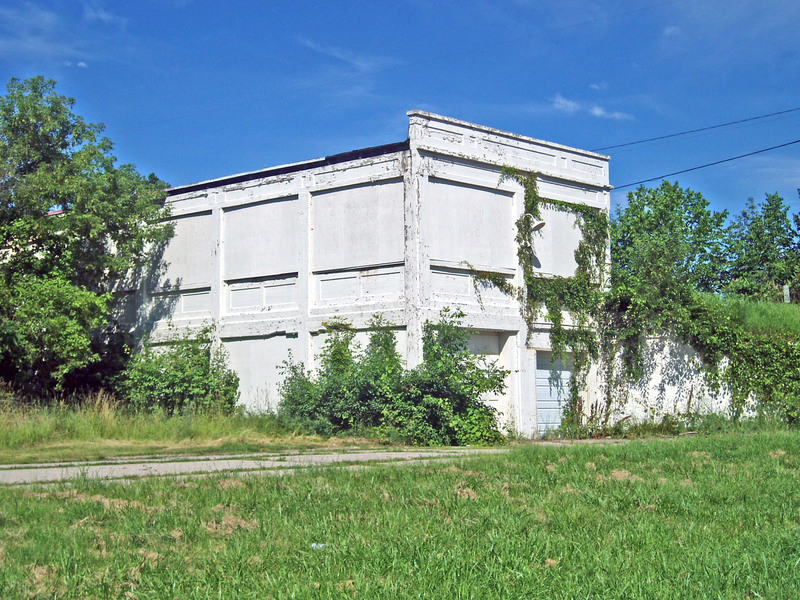 In 1949, the building was sold to the Wayne County Road Department. I believe that they used it as a storage facility and garage until the 1990s. It was then leased to a local sculptor who intends to remodel the plant to serve as his atelier. Date of construction: The original Plymouth Flour Mill was erected on this site in 1850. That building was torn down and the structure you see was built in 1922. Book describing Ford’s Village Industries: Howard Segal, Henry Ford’s Village Industries: Recasting the Machine Age. Boston: University of Massachusetts Press, 2005. State of Michigan Historic Marker: None put in place.